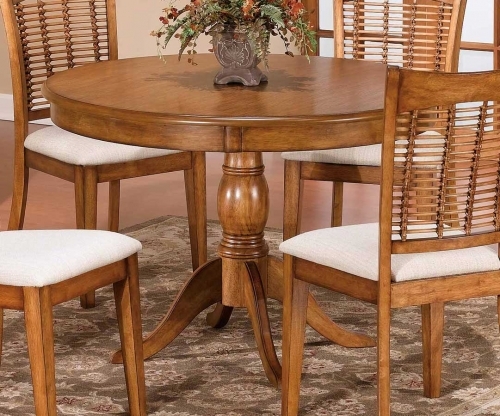 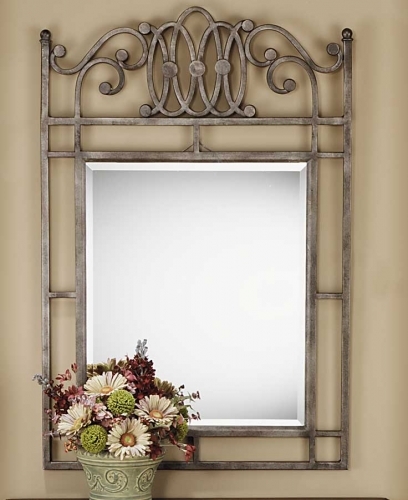 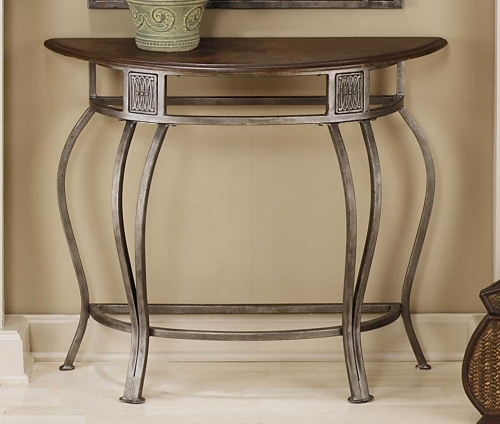 Drama and style are defined in Hillsdale House?s Montello dining ensemble. 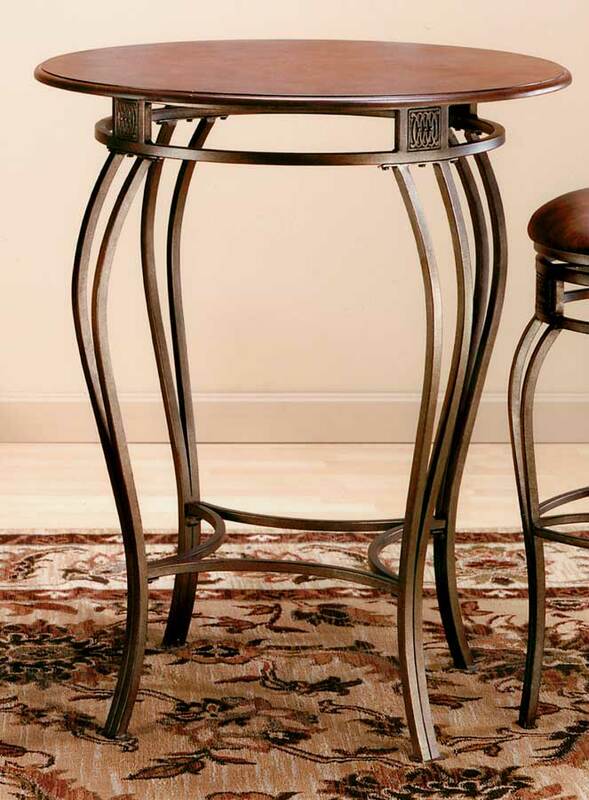 Sweeping interlocking circles, intricate complimentary castings and elegantly curved legs combine to create a collection with grace, movement and elegance. 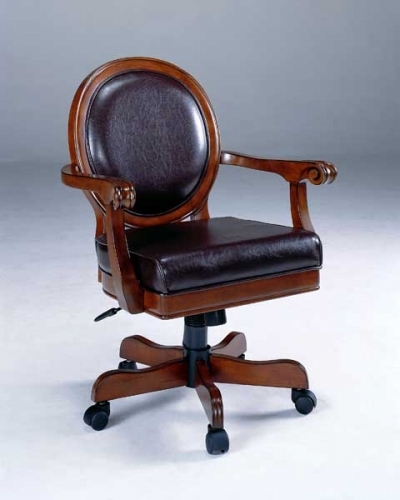 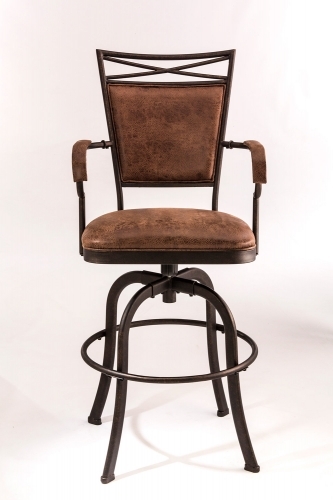 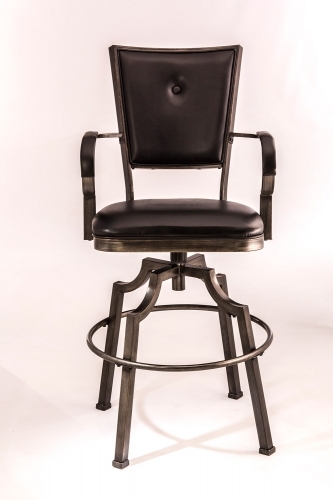 Finished in a dynamic old steel with distressed brown faux leather seats and cherry wood chair accents. 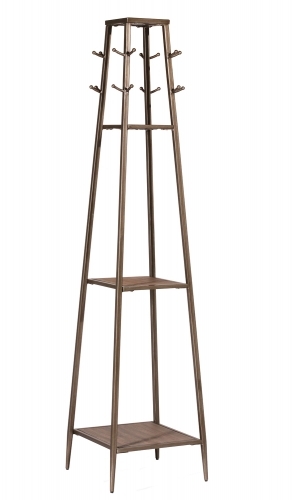 The Bakers rack offers the matching circular motif as well as four useful shelves, one with a matching veneer, to create efficient and attractive storage space. 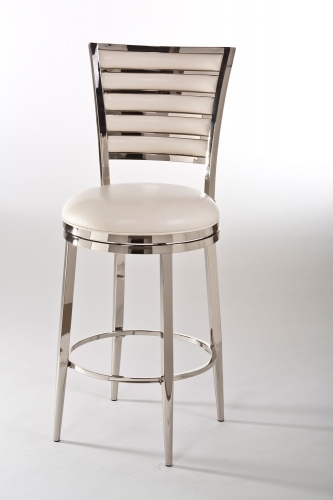 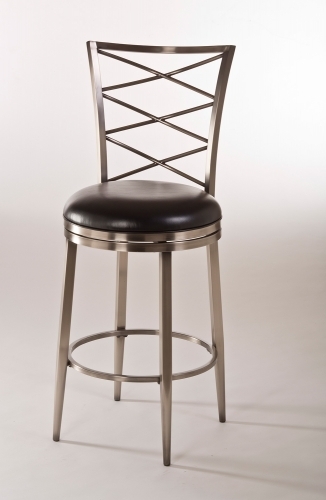 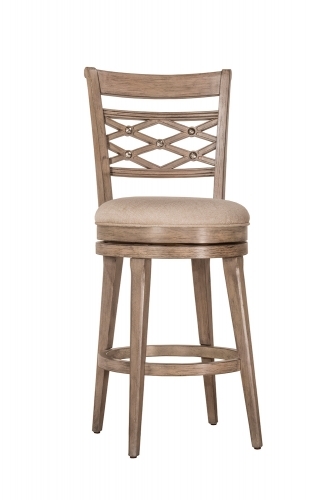 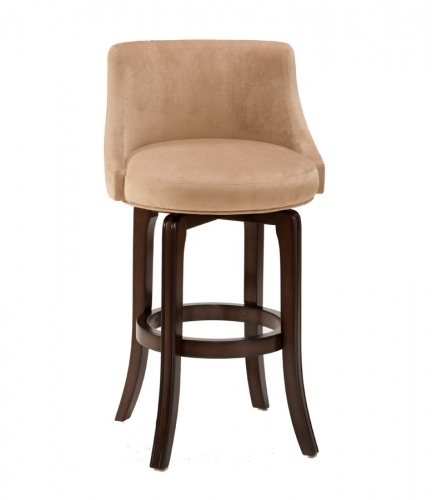 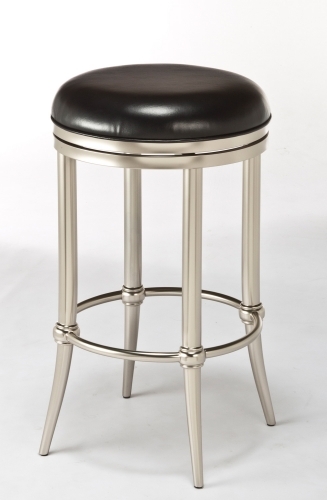 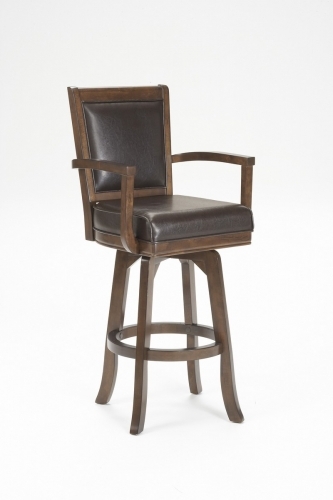 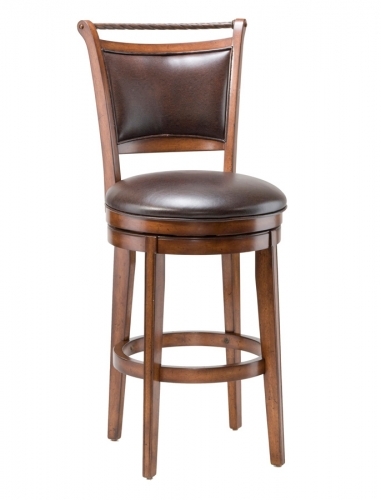 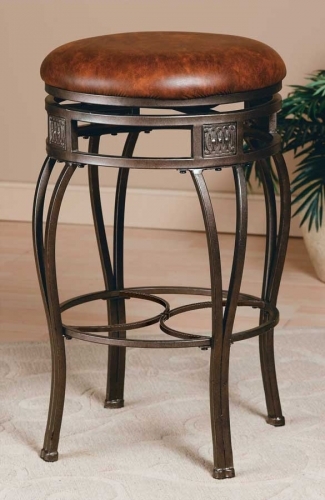 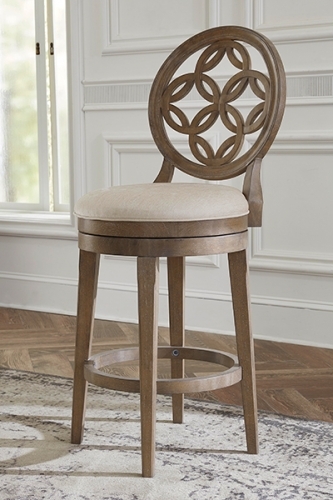 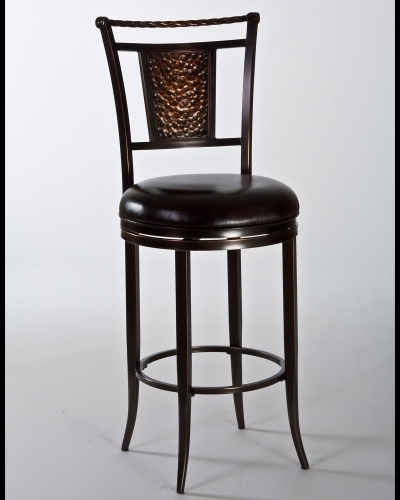 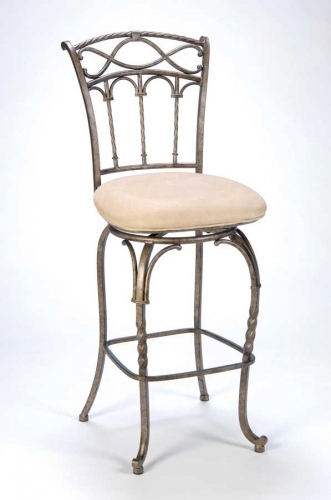 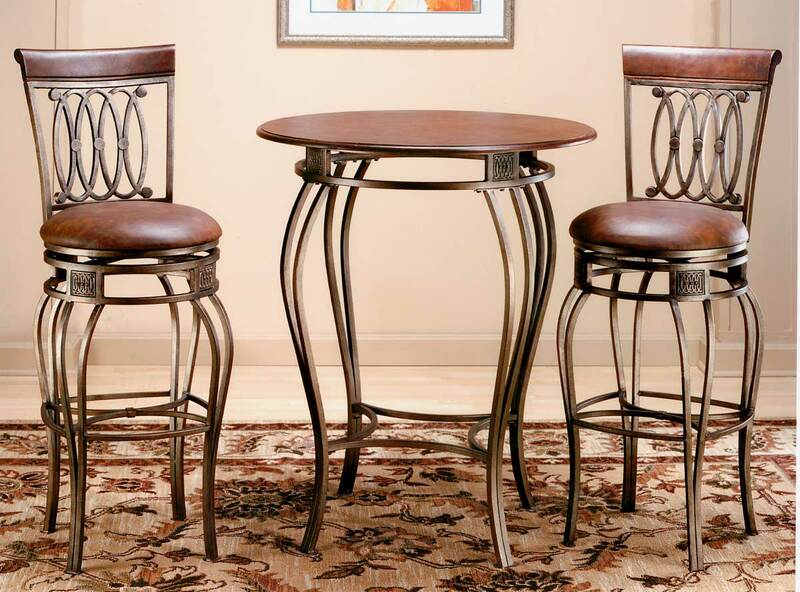 Also in this collection, the bistro table and swivel barstool, available in both counter and bar heights, mimic the stunning design in the chairs and table.